Malin + Goetz has launched Leather, a new unisex fragrance. Raw and refined, this warm and intimate scent recalls unexpected florals woven through softly worn leather, sensual sandalwood, sueded amber and incense. Read more about our leather collection here. Additional notes include lotus flower, clove, pepper, muguet, green violet, iris wood, orchid, cedar and cashmere musk. 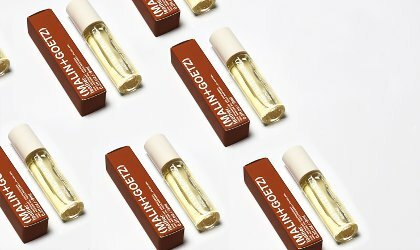 Malin + Goetz Leather is available in 9 ml Perfume Oil, $50.